If so, you can support us at no cost to you! 2. 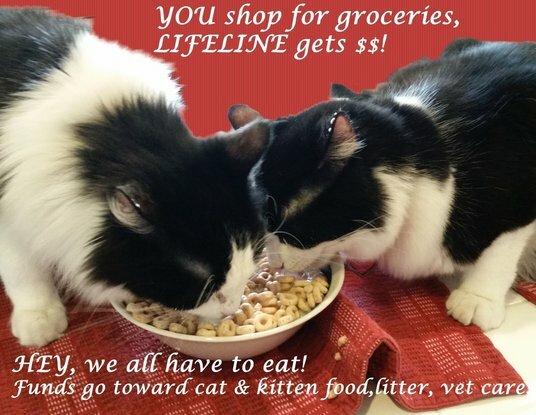 Call 1-800-443-4438, supply your card number and tell them you'd like to support Lifeline for Pets. 3. Re-register every September. If you want us to remind you, just drop us an email telling us to do that. Go to www.Ralphs.com and register your Ralph’s card to benefit Lifeline for Pets under their Community Contributions Program.